The winners will test their new health IT apps in healthcare settings, beginning in August. 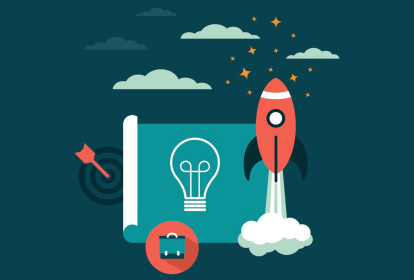 "The ONC Market R&D Pilot Challenge breaks down the barriers between promising start ups and health care stakeholders by helping early-stage health IT companies connect with health care organizations that would host pilot programs," Adam Wong, ONC management and program analyst, writes in his May 11 blog. "The innovative technologies developed by these companies are integral to improving consumer engagement and care coordination, which ultimately lead to greater demand for interoperability and health data liquidity." ONC received applications from 78 host-innovator teams across the country. Most of the proposed pilots focused on technological tools to help with care coordination, patient generated health data, medication management, and/or underserved communities, Wong wrote. The submissions all demonstrated the awareness and readiness of innovative companies to incentivize consumers to play a more active role in their own care. ClinicalBox and Lowell General Hospital – ClinicalBox develops software for coordination and patient engagement across the surgical care continuum. Its technology, CoordinationBox, tracks patients through the care delivery pipeline and visualizes critical tasks that need to be completed for the healthcare provider. It facilitates communication with the patients and provides them with a visual overview of the stages in their episode of care, as well as task lists and educational materials. The pilot with Lowell General Hospital will test CoordinationBox’s efficacy in coordinating care and engaging patients during surgical episodes.